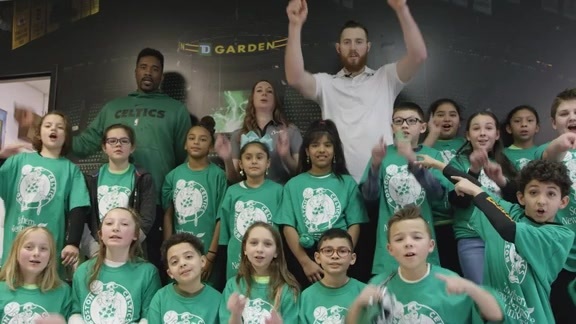 BOSTON – There was a lot to digest from Thursday night’s dramatic finish at TD Garden, where the Los Angeles Lakers won a back-and-forth barnburner at the buzzer against the Boston Celtics. While it didn’t end the way Boston had hoped it would, the C’s still took some positives away from the matchup, such as the contributions it received from its second unit, particularly from Daniel Theis, who had one of the most impressive outings of his young career. Theis contributed to Boston’s 61-point bench effort with 20 points on a career-best 9-of-11 shooting from the field. The sophomore big man also corralled six rebounds – three on each end – dished out a pair of assists, tallied a pair of blocks and knocked down both of his 3-point attempts, all in just 23 minutes of play. Theis’ spark on the offensive end played a critical role in keeping Boston in the game during the Lakers’ 42-point third quarter. He scored 11 of Boston’s final 13 points of the frame over a span of less than four and a half minutes. The 6-foot-8 forward showed off a wide range of scoring skills during that short stretch, knocking down a mid-range jumper, a 3-pointer, a pair of dunks and a put-back layup. First, we’ll highlight the pick-and-pop mid-range shot that got Theis’ third-quarter scoring run started. He starts off the play by setting a pick on Kyle Kuzma above the left break, around which Gordon Hayward curls to receive a pass from Kyrie Irving. After Kuzma fights past the first screen, Theis turns around and sets another so that Hayward can curl back around the other way with the ball. Tyson Chandler then switches onto Hayward, and with Kuzma trailing the ball, Theis decides to pop out to the left elbow. Hayward sees him standing there wide open, delivers the pass, and the big man knocks it down. Theis extended his range even more on Boston’s next possession, as he canned a 3-pointer from just above the right break. Then, he switched things up a bit by putting on a dunking clinic. Theis’ first dunk starts off in a similar manner to the mid-range jumper, as he sets a screen on Kuzma near the top of the arc. This time, Kyrie Irving has the ball, and instead of popping, Theis rolls in between Kuzma and Tyson Chandler and straight to the basket. Irving acts quickly and dishes a lightning-fast bounce-pass to Theis, who soars in for an easy dunk. Less than two minutes later, Theis’ hands meet the rim again, this time in the form of an alley-oop jam off of a dime from Hayward. 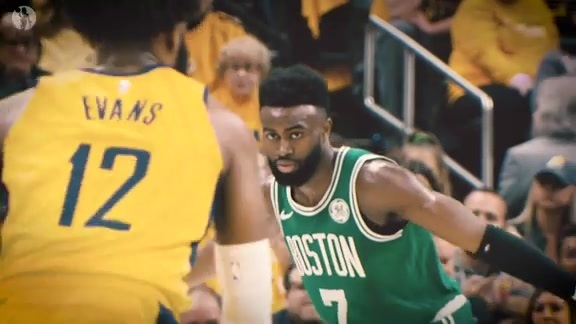 Theis then finished off the frame in gritty fashion by rising up in between two Lakers defenders for a put-back tip-in off of a Jaylen Brown miss. While he made most of his impact during the third-quarter, Theis' two most highlight-worthy plays came during the final frame. The first play was yet another dunk – his third of the game. While his Celtics are orchestrating transition offense, Theis jogs up the court alongside JaVale McGee. Theis lags behind and stops short at the 3-point arc, losing McGee, who continues loping into the paint. Ball handler Terry Rozier feeds the wide-open Theis at the top of the arc, who then allows McGee to retrace his steps in the form of an aggressive close-out, before cutting toward the basket and taking flight from the middle of the paint for a ferocious dunk. Theis’ second noteworthy fourth-quarter highlight came on the defensive end, where he delivered the most emphatic block of the night. On this possession, Theis positions himself right under the basket, ready to take on any Laker that comes his way. The first opponent he deals with his Brandon Ingram, who curls around a screen into the paint, where he receives a pass from LeBron James. Though, just as Ingram catches the ball, Theis drapes his arms all over him, so the Lakers forward is forced to kick the ball out to Rajon Rondo in the left corner. Rondo, who is wide open beyond the arc, waits for Rozier to close out, before taking off toward the basket for what is primed to be an uncontested lay-up. However, Theis is able to fight around a wide screen set by McGee just in time to meet Rondo at the rim, where he swats the ball all the way over to the sideline. Six minutes later, Rondo captured the spotlight by knocking down a game-winning, second-chance jumper at the buzzer, though Theis’ career performance shouldn’t go unrecognized in the midst of all the drama that unfurled at TD Garden.